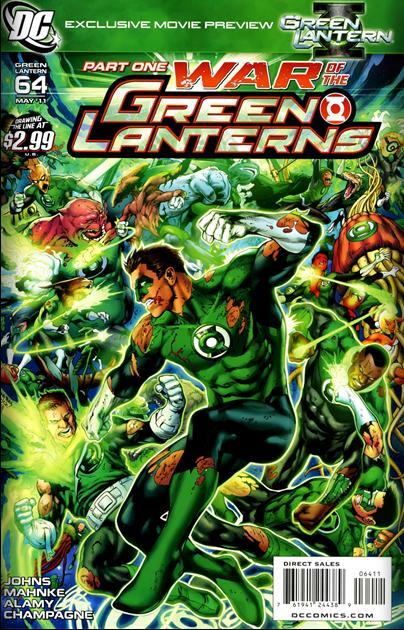 War of the Green Lanterns” ignites with part 1 of the blockbuster event that’ll burn into the summer! A malevolent force has usurped control over all the power batteries, leaving the Corps powerless except for a select few members. Now it’s up to Hal Jordan, Guy Gardner, Kyle Rayner, John Stewart and Sinestro to regain control but can these warriors overcome their differences in time to save the universe. O.k. Enough with all the earth green lanterns already! How is it that each sector gets one lantern yet earth gets 3 or is it 4!? !